Ukrainian politician and former Dnepropetrovsk businessman Oleg Tsarev says that the political and economic conflict between the country's oligarchs may turn into outright street warfare and a new Maidan. Commenting on the recent scuffle between oligarchs over Ukraine's oil transport company Ukrtransnafta, former Ukrainian parliamentarian Oleg Tsarev warned that the skirmishes involving corporate raids, hostile takeovers and the siphoning of state wealth may soon turn into a battle of bullets and bombs in the streets of Kiev. In his article, published Saturday on his blog for independent broadcaster Echo Moskvy, Tsarev stated that "the conflict between Poroshenko and Kolomoisky is ready to turn into open warfare." 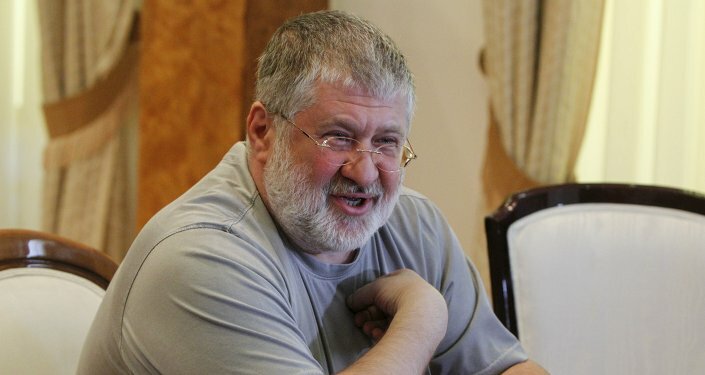 In Tsarev's view, "Kolomoisky is capable of burying the latest American project in the same way as occurred earlier in the conflict between Poroshenko and Tymoshenko. Except this time, considering the current situation, this war may not be limited to mudslinging, and may well turn into an armed confrontation." According to Tsarev, "the two sides are ready for such a scenario, which is why today there are special forces in the center of Kiev, and the territorial battalions Kiev-1 and Kiev-2 have been activated. We also know that Ministry of Interior forces are ready to head to Dnepropetrovsk. Igor Kolomoisky has brought his own Dnipro battalions to combat readiness. They now consist of up to fifteen thousand fighters, and a few days ago Kolomoisky ordered them to triple their number." Discussing the conflict over Ukrtransnafta, Tsarev noted that "control over the company is of extreme importance to Kolomoisky not only because he has become used to treating these government structures as his own personal property, but also because a change of the company management would have unquestionably resulted in questions about the multitude of abuses committed by people loyal to him." Tsarev estimated that the damage done by Kolomoisky against Ukrtransnafta alone may amount to up to $2 billion, including up to a billion dollars in damages caused by improper use of the pipelines. "The nighttime capture of the Ukrtransnafta office was aimed not just at attempting to preserve the ability to steal state resources, but also an attempt to cover up evidence of the crime. It is believed that on the night of the raid, several trucks-worth of documents were taken from the building," Tsarev noted. The politician emphasized that "this will make investigation into the criminal negligence and outright theft much more difficult." Tsarev believes that Kolomoisky's personal involvement in the affair, including travel to Ukrtransnafta's headquarters, is unusual, and that he "could have been forced to participate in this special operation personally only out of dire need –the threat of criminal charges, the threat of arrest against him and his businesses." Tsarev notes that the compromise said to have been reached Friday, where it was determined that Poroshenko's man would ultimately take up his post, would mean either that a real investigation "will not occur, or that it will be carried out by foreign auditing companies" at such a pace that the results of their investigation will become moot by the time they reach their conclusions. 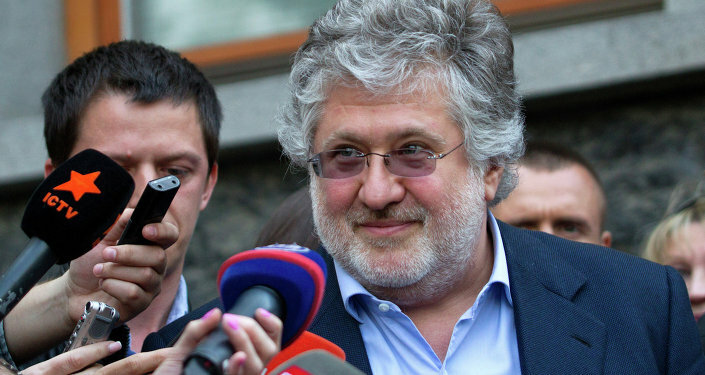 "Does it mean that Kolomoisky, Yatsenyuk and Poroshenko have agreed to share in the robbery of the country together? Time will tell. But one thing is for certain: the country is rapidly sinking into impoverishment. In order the preserve their capital, oligarchs and the Kiev government will face only more conflicts [over time]." In this connection, "the United States will have to openly, publically intervene into the management of the country. The US ambassador to Ukraine has already openly noted that he was involved in the resolution of the [Ukrtransnafta] conflict, with MP Sergei Leshchenko saying that the order to change the company's management came from Washington." Oleg Tsarev, a former MP in Ukraine's Rada from the Dnepropetrovsk region, was forced to leave the office and withdraw his candidacy for president last year following numerous threats against him and his family. In April, 2014 Tsarev was beaten by a mob after a television interview in Kiev. Withdrawing his candidacy in late April, Tsarev called on anti-Maidan politicians to boycott the elections, which he felt could not take place in conditions of civil war following an unconstitutional coup. Tsarev was stripped of his parliamentary immunity in June, 2014, and has since become a wanted man on the territory of Kiev-controlled Ukraine. He presently serves as the Speaker of the Unity Parliament of the self-proclaimed Novorossiya Confederation of the Donetsk and Luhansk People's Republics.